The World Cup may be over but there are still plenty of reasons to visit South Africa. 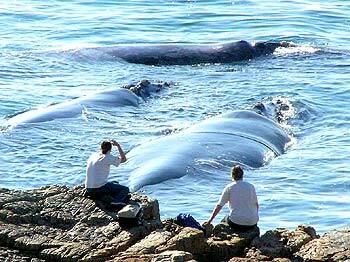 One of those reasons is whale season and we think there is no better place to watch the whales then Hermanus. Hermanus is a small but magical town on the southern tip of the country where you, if you plan your trip right, are guaranteed pure amazement. You can watch huge Southern Right Whales come right near the shore to nurse their young in the small inlets along the coast line. Whale season is July to late November but we think the best time to visit is late September, when you can catch the whale festival as well. In our opinion, there is only one place to stay in this town and that is the Birkenhead House. You drive along in this seemingly unassuming coastal town to pull up to what seems like the garage of your own home. Don’t judge a book by its cover – what lays beyond the garage is a beautiful and luxurious home perched on a dramatic cliff overlooking Walker Bay and ideal for whale watching. When we were here, the hostess showed us to our room sprinkled with rose petals. Imagine a moment when the hotel door opens and you see a sight that gives you the urge to squeal in delight and jump on the bed. We managed to keep it together while she described the hotel facilities which inc luded two pools, one which overlooks the infamous bay. As she was describing the daytime excursions to our gaping open-mouthed faces, another person slipped in almost unnoticed and popped open a bottle of champagne. Oh no – we protested – we did not ask for this – we’ll have a glass later. She then smiled and said – “Oh dears, everything is included here. Please enjoy as much food and drink as you like.” In our book, this is reason enough to come visit this dream-like place. Note also that they have an adjacent property called the Birkenhead Villa for those families travelling with children. Dinner was another experience..you descend down the stairs where the chef prepares you almost anything you like served up in a luxurious style in a 5-star setting. We almost forgot we weren’t famous. If more standardized luxury is your cup of tea, leave it to Relais & Chateux to have you r spot. The Marine Hermanus is yet another luxury hotel with perched right on cliff with 42 individually fresh and sophisticated rooms and suites with all suites having a view of the bay. They have an open kitchen at the Pavilion with Mediterranean and Eastern cuisine with seats designed in a way to be able to whale watch during your meal from July to November. If you want something a little more adventurous, your hotel can organize a shark dive tour. You will be placed in a cage and shark bait is delivered around the cage so that you can get a close up view of a hungry shark. We were assured that this was safe but definitely not an excursion for the faint of heart (or stomach, as we learned). There are also several boat operators including Dyer Island Cruises that can take you on a boat to get a little closer to the magical whales. 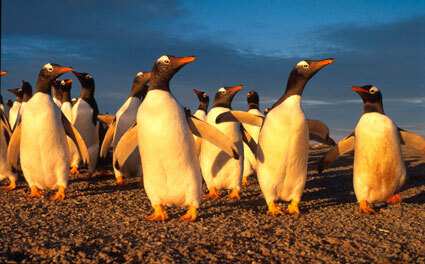 During whale season, you will also most likely get to see penguins and dolphins on your trip. We think the best thing to do here is to take a walk along the perfect path carved out on on the cliffs overlooking the bay on the Overberg Mountains. This path is filled with finely manicured gardens with flowers and even insects that you most likely have never seen before. There are little benches and chairs along your way where you can sit and have the ideal spot for enjoying the scenery and watching the whales. 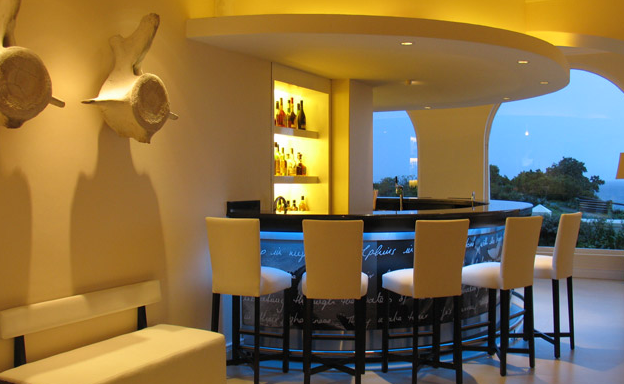 If you forget to pack your bottle of Veuve, a perfect spot for having a cocktail with a view over the bay is the Sun Lounge at the Marine Hermanus.